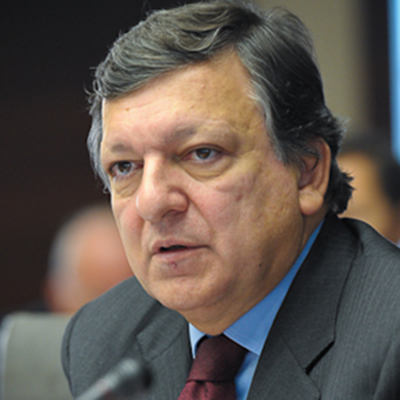 Can Europe find the right mix of budgetary rigour, job creation and social protection? That Europe must find the right balance between austerity, pro-growth policies and social protection, was the clear message coming from the Friends of Europe’s annual “State of Europe” roundtable in Brussels yesterday. However, while many agreed that the balance has not yet been found, there was broad disagreement among the leading European policy-makers, business leaders and experts on where that balance should lie. 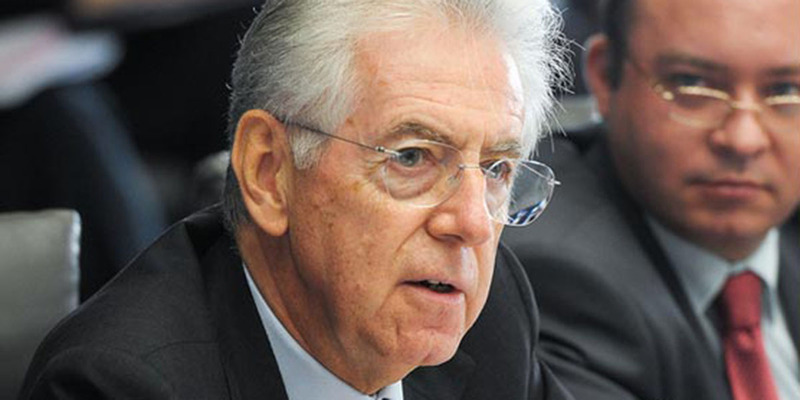 In an exclusive interview with Debating Europe on the margins of the conference, Italian Prime Minister Mario Monti said Europe was now “on the path” to find the right balance, after previously paying “insufficient attention” to growth. 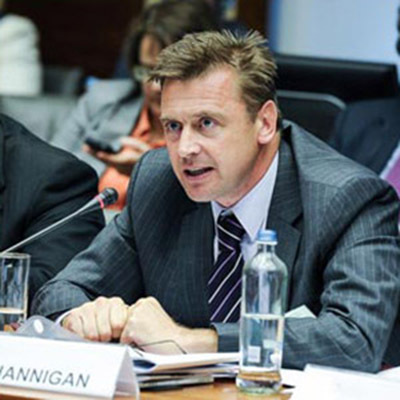 It was high time that the EU put together a credible package of initiatives. By initiatives, I don’t just mean spending money, but of initiatives to unlock the potential of the single market, to go ahead with cross border interconnections so as to give at the same time a demand and supply boost to a hopefully more integrated European economy. There is an increasing confidence in the future of the eurozone, a growing sense that we will get there. And also, that along the journey, before our eyes, Europe is changing. Our Union and the architecture of the eurozone look already different today. 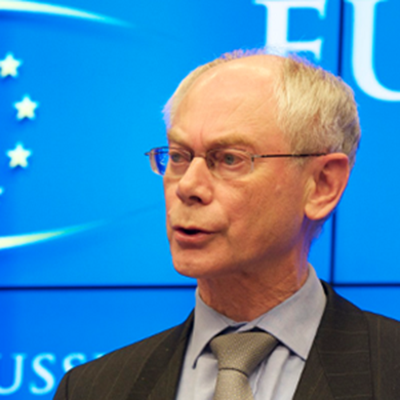 Van Rompuy used the occasion to reveal more details of his suggestions for a so-called fiscal capacity – seen by many as separate budget for the euro-zone – that would help stabilize the currency and support member countries cope with “asymmetric shocks” to their economies. It’s not the right track … How can we in Europe be competitive if we destroy the social fabric in many of our countries. We have to keep fairness and solidarity at the heart of our actions. This is I believe the glue that holds our societies and our Union together. There are some who believe that because of the recent crisis the social model in Europe is dead. I do not agree. The political leaders of Europe in my view should not make the huge mistake of underestimating how all this is building up backlashes against integration which we have seen developing during the crisis and even more within the euro zone with some antagonization between peoples and countries. What has become very clear is that we need a more integrated Europe and a more integrated capacity for a Europe-wide policy response, and if we look back at the couple of years since the inception of the Greek crisis, we see a lot of awful things but we see also a number of highly positive developments in terms of the EU and the euro-zone in particular getting their act together. I see the EU in 10 years in a better place than now … Europe is more or less in a shape that would allow it to conduct a more coherent EU policy and I think this should give benefits for the next years, so I think the EU will be more adult and hopefully it would have gone successfully through its adolescent crisis. The State of Europe conference also looked at the ability of crisis-hit Europe to compete in the globalised world along newly emerged economic powers like China and Brazil. People, I don’t think, want more Europe … they want a functioning Europe, and at the moment we don’t have one, we don’t have a functioning euro, it needs more work. What about YOU? Do you think the Nobel Peace Prize-winning EU is on the right track to find its way out of the crisis? How can European government meet their need to cut debt, while giving hope to the growing army of unemployed? Is closer integration the answer or does that risk alienating public opinion in north and south? Let us know your opinions in the form below, and we’ll take them to policy-makers and experts for their reaction. Stop wasting their money on the eu and spend it in their own Countries. You mean like in the 1930s, right? And, funny enough (or then not)(..) the only way out of this..is a global war. The coming Great War of our time. Think. ; it is the only way to , for the economy, etc. If you will wars have always served as excuses. It does nothing gd for the ppl. in this case, here, ..but it ll serve to mobilize ,kp them occupied, etc. Think-the econ would be bolstered. Now,. it would serve the added bonus of getting ppl off the streets. To give any kind of informed answer to these questions of ‘where do we go from here’ you have to start with a comprehension of what happened to our system and what created the farce we presently find ourselves in. This covers the entire Western world and Europe is identical to this situation given from a US perspective. And because I cannot take the space or time to explain what has been happeing in full or even in part, you will have to start with a learning curve provided by that old favourite of mine, youtube. This simple start to the Fiat system will get you ready if you don’t know what that is. And it is short. These next two videos have to be watched in tandem in order to get a grasp on the world banking and financial system as it has become, how it works and how it went wrong. It is time consuming and will take at least an hour or more to watch. From there you will find the answer to the Western dilemma. Or, that is the objective. And the follow up. This is how the Western world financial situation has got us by the short and curly’s……And to get us going toward the answer we will have to dramatically rethink the way we moved away from reliance on the gold standard. Albert…no need for a global war shutting down the eu is more than enough. Unfortunately, one will likely lead to the other. The EU is the best guarantee for peace in Europe. If there are no just solutions for the accumulated Target 2 problems which deprive the people of the more productive member states of their savings and future pensions all other attempts to do something good for keeping the EU together will be in vain. Impressiv how the “W” word is still so strong among us!!! Let�s be afraid of the “W” word, lets be very affraid and keep the EU anyway we can get it. you can keep the eu. A functioning Europe should go before spending more money on growth. I mean, nowadays an average SME will not buy a new machine from money of a EU tender, if it remains a requirement to keep that machine for x years in operation, in this economical situation. There was always a gap between the amount of money assigned to growth policies, and those who could use it. No budgetary rigour without inclusion & cohesion. It is a very complex problem! With all due respect. Everyone’s been speaking about job creation, but the fact of the matter is unemployment is still on the rise. It’s mind boggling. do you think that the aborted constitutional treaty could have helped the EU to move in the right direction? econ is numbers and they speak for themselves in terms of market size: China, 1.5bn people ; India 1bn+ ; Us .3bn ; eu .5bn.. Long term no european country alone can have a critical mass to sit at the table. How do you think the ‘UNITED’ States got to the superpower they’ve become!? By ‘UNITING’. At some point this is the story of sound, responsible men sitting together around a table and realizing there is more to win by uniting than fighting separately. But for something positive to come out one needs real leadership, people who see common interest and think long term. Not personal, political career or local polls… unlike what we have in Europe today, maybe Monti excepted. People like Adenauer, Bech, Monnet, Schuman, De Gasperi, Beyen, and later Hallstein, Spinelli, Delors made things possible because they had no personal agenda. Europe was the agenda. This is what’s needed today. People thinking common good, Europe’s success, how we can find solutions and grow together. It’s our chance, our potential.. we need a more democratic Europe for sure, but a more ambitious one also, with a clear vision of what we want to achieve together. The rest is waste of economic potential, war and conflict and dead end for everyone in Europe… getting back to being dwarfs in tomorrow’s world. Only fools think that their small euro country can alone achieve something in the 21st or 22nd century. If we re not part of Europe and decide to manage our destiny together, we ll be part of other’s zones of influence (US, China, etc). Is that any better!? Common wake up Europeans! Words but no actions. 50% of European youth is unemployed and we are still wondering and mumbling! Yes, of that Italy that allowed its debt to soar to 120 percent of GDP; that voted in three times Berlusconi; that for 10 years had the world’s lowest growth apart from Zimbabwe; that accepted corruption as normal; that turned tax-dodging into a national pastime; that was marginalized on the international stage. You have lunatics running the asylum. The EU is infested with criminals who are merely benefits cheats on an international scale. Quiet frankly the EU is run by scum. Pretty nice post. I just stumbled upon your blog and wtaend to say that I have truly enjoyed surfing around your blog posts. After all I will be subscribing to your rss feed and I hope you write again soon! Is it possible a debate among europeans? Unfortunately, we have to speak 22 different languages, it is really hard to understand each other …. I think there’s a real sense of urgency that a more active EU leadership is found, alongside with political, economic and budgetary european policies. Unfortunately, there’s has been gradual withdrawal from the European project, with the unfortunate rising of segragationalist movements, which I think is a mistake. People, specially those afflicted more severely by the economic crisis can’t really think on a broader dimension. There are still many identities but no cohesive european identity is shared by all. 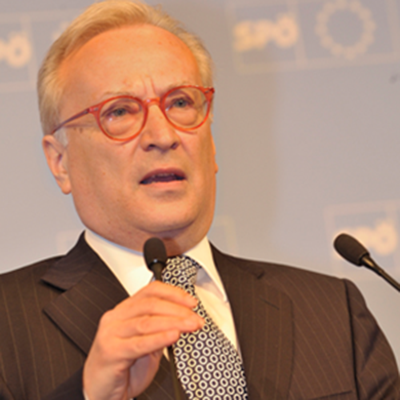 Without that, the progress towards the European Project will be on the line. huge number of economic experts in the EU and the member states – some – are facing bankruptcy … whom to listen to …? A Europa pode encontrar a mistura certa de rigor or�amental, a cria��o de emprego e de prote��o social? A Europa tem de encontrar o equil�brio certo entre a austeridade, pr�-crescimento e pol�ticas de prote��o social, foi a mensagem clara vinda dos Amigos do “Estado da Europa” Europa anual mesa redonda em Bruxelas ontem. No entanto, enquanto muitos concordaram que o balan�o ainda n�o foi encontrado, havia discord�ncia alargada entre os principais decisores pol�ticos europeus, l�deres de neg�cios e especialistas sobre onde o equil�brio deve fazer-se. Numa entrevista exclusiva com ?Debater a Europa? 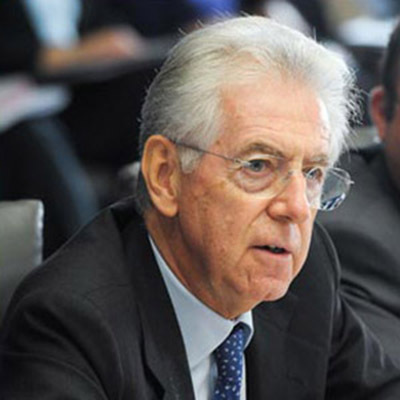 � margem da confer�ncia, primeiro-ministro italiano Mario Monti disse que a Europa estava agora “no caminho” para encontrar o equil�brio certo, depois de previamente prestar “aten��o suficiente” ao crescimento. J� era tempo da UE criar um pacote cred�vel de iniciativas. Por iniciativas, eu n�o me refiro apenas a gastar dinheiro, mas de iniciativas para explorar o potencial do mercado �nico, para ir em frente com as interconex�es transfronteiri�as de modo a dar ao mesmo tempo um aumento de oferta e demanda para um europeu espero mais economia integrada. O que me preocupa e espanta, � que parece que todos parecem entender do que a Europa precisa, e particularmente os pa�ses como Portugal (sob resgate), parece que at� mostram ter solu��es, porque n�o agem? para reduzir o desemprego e aproximar os sal�rios do n�vel real de produtividade:descer o n� de horas de trabalho na propor��o da percentagem de emprego. acarreta diminuir o sal�rio na mesma propor��o. Artur Mas, President of the Government of Catalonia, is speaking today at a Policy Spotlight discussion organised by Friends of Europe: ?Destination Europe: Catalonia?s EU Future?. WATCH the livestream on http://www.debatingeurope.eu at 13.00 CET! It’s about time the EU create a “credible package of initiatives.” Initiatives, I do not just mean spending money, but initiatives to explore the potential of the single market, to go ahead with cross-border interconnections to give both an increase in supply and demand for a Europe with an economy more integrated. Es ist Zeit, dass die EU eine “glaubw�rdige Paket von Initiativen.” Initiativen, wei� ich nicht nur, Geld auszugeben, aber Initiativen, um das Potenzial des Binnenmarktes zu erkunden, gehen Sie mit der grenz�berschreitenden Verbindungsleitungen sowohl eine Zunahme des Angebots und der Nachfrage f�r ein Europa mit einer Wirtschaft geben mehr integriert. Super Mario is a pathetic bureaucrat that pretends to be a technocrat. He is the quiet assasin of democracy in Italy. Heil Duce! Keynes disais en 1920 que la croissance et la rigueur ne pouvais pas coïncider. Ainsi, je propose une politique de relance rigoureuse, impliquant un investissement conséquent aux entreprises, et un allègement essentiel des charges pour les entreprises européennes dont le capital social n’excède pas 1 000 000€. Le volet rigueur de mon idée s’appuie sur des efforts que les grands revenus devront s’acquitter. Je pense qu’aujourd’hui en Europe, 2200€ par moi par tête suffit à chacun pour vivre, au delà de cela doit s’imposer à mon idée l’équivalent de l’ISF en France, avec un barème progressif. Les conséquences seront que mieux : inciter la création d’entreprises (législation et exonérations de charges pour le début d’activité), aboutiront sur une reprise de la croissance, je table sur 1.1% sur un an, ainsi qu’une baisse du déficit public de l’Union Européenne. J’espère que vous prendrez en compte mon avis. It is all about the hypothetical state member in which people view and talk about the EU, but as international interaction increases, we clearly need to address some of the issues that falls to the cracks the Global economy has created if we carefully looked at Nation by Nation state members. The reality we live in with and the reality we will continue to live with for the foreseen future. We will have patterns the differences of the stock market capitalisation by GDP in each state member market; for instance Original Liberal Market Economy Review versus Original Co-ordinated Market Economy review to better understand and find the right Mix of Budgetary Rigour. In the case of Employment Protection Laws conferred so much Power on Labour, but nobody wants to be left behind or clearly be the last in line where, a small share holders without any managerial skill control in some country members can be classified in different group. 2″ Accounting earning in Civil Law: Countries versus Common Laws in member state. And then minimise the average and volatility of pay-outs and thus earnings with large reserves. Because Losses are dribbled out in earnings but capitalised. Therefore a review of stock prices reactions to Gains and Losses in accounting incomes versus Common Group of Society/ Code Law Group will give creation to Job and strengthen Social protection in member state. In other words: “Should the high rank Bruxelles euro-politicians/clerks do their job, or just pretend to do it ?” It’s their job to find the right path and they are highly paid for their services and expertise. They have all the ropes and not me. The problem is that in reality they represent private business, foreign capital and everything else you might think but the european middle class interests. The ascension of so called “Centre Right” politicians was in fact direct proportional with big companies profit margins and with number of jobs outsourced. Well, I cannot generalise, but that’s the idea. I think that the european politicians job is to try to create jobs around the the member states from the eurpean union. they have to change the policies to ones that halp the member states who are experiencing difficulties like Portugal (my state) We can´t live anymore withe that policies and that difficulties, you have to stopo our prime minister, because he´s destructring my country. What are the advanteges of paying our debt and the citizans nothing had to eat or money to put their children on the university? This is mat queston, and hope that you´ll answer me. The people here in portugal are loosing the trust on the european union and I think we have reason loose it. Thank you for listen me.